The Baseball Practice Dad | hopes to share some professional baseball family experiences. Laguna Hills, CA – It’s no mystery that professional baseball is filled with highs and lows for management, staff, players and fans over the results on the field. Our family has experienced plenty of peaks and valleys during the infant career of John Lamb with the Kansas City Royals organization. Now that we’re moving into May, it is easy to say that the game has provided another simple highlight worth smiling about for the family and fans around the game of baseball. Tonight’s start for John with his Wilmington Blue Rocks team had a sense of urgency throughout the minor league clubhouse. The Kansas City Royals, Advanced Class A affiliate, had lost seven straight going into the second game of the series tonight with the Salem Red Sox, Carolina League affiliate of the Boston Red Sox club. Putting an end to the slide had to be the primary focus of not only the staff but also the team. Fortunately, solid pitching, defense and hitting were all integrated into tonight’s performance during the Blue Rocks effort at Frawley Stadium in Wilmington, DE. Not sure who had more fun during the broadcast? Surely, Mr. Celery with all the run production and the radio announcers sharing positive reports about the game must have enjoyed the game. However, hearing that my son was flashing some of the pre Tommy John surgery success which helps a team win really provided a true calm in the living room during the game. Hopefully, there were some optimistic reports from staff and brass about the event also. A wide variety of sources can and will offer the statistical data from tonight’s game along with opinions or projections. Not here to discuss anything more than a real sense of relief for my son who is still getting the chance to chase his dream in baseball. While there is a real confidence that follows a small step forward in a professional career for any athlete, John is positively more proud for helping his team win and not the personal line illustrating the pitching performance. We will continue to ride this high for another five days moving into May! Laguna Hills, CA – Anyone that truly loves the game of baseball can appreciate the wide levels of emotions the game can produce. The great Earl Weaver once said, “A baseball game is simply a nervous breakdown divided into nine innings.” Add this philosophy with parenthood and you can have a volatile case of anxiety during any baseball game your son plays. On any given day, during the grind of a season, thousands of parents share these emotions around professional baseball. 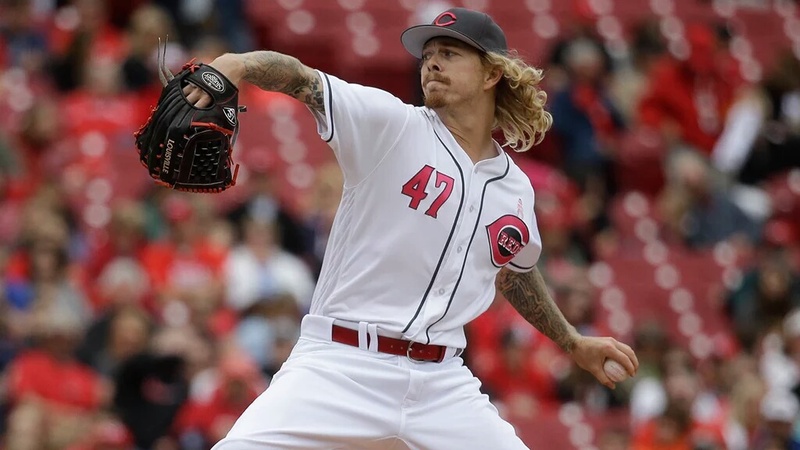 While there is a full appreciation for similar experiences around the game, we only have a couple more hours to expect the start by John Lamb for a full season effort on the Kansas City Royals farm. The injury that stalled his professional career back in 2011, while pitching for the Northwest Arkansas Naturals, has been filled with plenty of peaks and valleys. Today’s game with his Wilmington Blue Rocks teammates in Myrtle Beach, SC against the Pelicans will offer yet another step towards his dream. 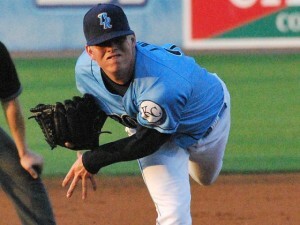 The Wilmington Blue Rocks, Advanced Class A team for the Royals, lost their season opener last night in extra innings. We will be watching tonight’s game on our MiLB.tv subscription as John takes the ball surrounded by many other prospects within the organization. Emotions are about to explode with the first pitch of tonight’s Carolina League contest and with any luck this is simply the first of many more roller coaster rides during the season. Our previous trips to this year’s spring training provided opportunity to nurture some relationships around the organization which has continued to support my son. Seeing him work around the Surprise, AZ complex during drills, practice and games provides an enormous joy knowing your boy is still living out his dreams around the ballpark. Watching his interactions with fans brings tremendous satisfaction and pride. Seeing their genuine excitement, following an autograph or picture with John, can easily put a smile on any parent’s face. Our family stands firm with gratitude towards the Kansas City Royals organization for their ongoing confidence in his ability. A light lunch and nap is in order now before John Lamb resumes his efforts on the field later today in South Carolina. Go Blue Rocks! 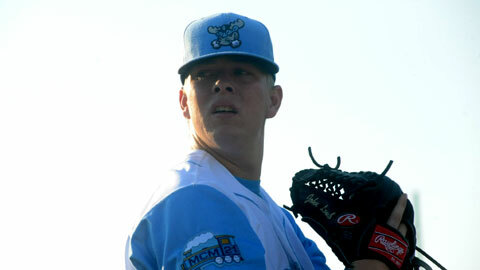 Perry, UT – While I sit waiting to unload later tonight I found the following article about John Lamb and his performance Saturday night with the Idaho Falls Chukars, the Kansas City Royals affiliate of the Pioneer League. My wife gave me inning updates of my son’s work during my drive up to Utah and I could not stop grinning with excitement for his Pioneer League debut. I realize this was simply another rehab start for John but the Chukars needed a win to keep their playoff hopes alive and it was great to hear about a solid team effort to secure the lopsided win. It sounds like my son will get one more start with the Chukars on Thursday in Orem, UT and with some luck maybe I can pause the truck to see him pitch against the Los Angeles Angels of Anaheim affiliate. Mc Carran, NV – While I continue to drive all over the Westetn United States as guided by freight John Lamb has just notched his fourth game appearance for the Kansas City Royals AZL team. I realize that during his professional baseball career many of his games will simply be read about, or possibly heard via radio broadcast, rather than observed in the desert heat. There have been a few bumps in the road of recovery and it’s only been a week since removing the boot of his left foot. The plan for John to leave Arizona and achieve more work on the Royals farm is simply fantastic news for all that have been eager to see him pitch again after the elbow surgery. Any baseball game with John Lamb in a box score, radio broadcast, internet feed or watching from the seats will always bring joy to this dad. I was fortunate to have seen last Wednesday night’s game during some time off the road while in Arizona. I was pleasantly surprised to see him pitch knowing his legs are still not at full strength. The ankle injury really took a toll on his ability to work his lower half but overall it was great to see him take the ball to the hill. Velocity was upper 80’s on the fast ball and he flashed a couple decent change ups during the two plus innings of work. The established pitch count was hit before recording an out in the top of the third but another good step down the road. The results may not have been stellar in the box score but the performance helped build some character with regard to the game’s disappointments. Can’t wait to see him throw again with some added strength in his legs and I can only hope it’s before the end of this season. The recent return to our highway system pulling cargo from point A to point B may have some challenges with seeing John pitch but it will not keep me from eyeballing the box scores. John should be in a game on September 1 with the Idaho Falls Chukars during a road trip. I can only hope that last night’s outing is the beginning of better things to come during his rehab return to the Pioneer League. John managed three scoreless, no hits or walks while striking out three during Monday night’s game. Who knows, maybe I’ll get lucky and have a load that routes by a stadium or two the next few weeks and see the lefty throw again. No matter are the means of information about John’s next game, nor the specific results, the most important thing at this stage of rehab is to continue to take the ball every fifth day. Helping his team get outs and wins are a mere bonus with the effort. I am eager to read about his next start in the Pioneer League through Baseball America or through the eyes of an Idaho Falls reporter. The following report on the Kansas City Royals farm has been eagerly anticipated for months. Jake Odorizzi took a no-hitter into the fifth as Omaha won the opener at Las Vegas. The righty retired the first 12 batters before allowing a walk to Jack Cust. The next batter, Chris Woodward, reached on a play that was originally ruled an error and later changed to a hit. Odorizzi allowed two hits and two walks over seven innings. Max Ramirez recorded hits hits, two RBIs and a run. Irving Falu added two hits, two RBIs and a run. Northwest Arkansas was off on Tuesday. The Naturals begin a series at Midland (Athletics) tonight. Wilmington let a 5-2 lead slip away at Potomac plated five in the sixth. Starter Leondy Perez (5 1/3 innings, six hits, three runs, one earned, one walk and four strikeouts) took a shutout in the fifth. Nick Van Stratten went 3-for-5 with a run scored. He is 6-for-8 since being transferred from Northwest Arkansas. Brett Eibner hit his 13th homer of the year, with 11 of the 13 away from Frawley Stadium. All Midwest League teams were off on Tuesday. Kane County hosts Clinton tonight. Idaho Falls was blanked on three hits at Billings. Rainier Bello went 2-for-3 with a double for the Chukars. 2012 second-rounder Sam Selman fanned 11 for the second straight start. Selman limited the Mustangs to a run on five hits and one walk over six innings. He has 73 K’s along with a 1.33 ERA in 47 1/3 innings. Burlington upped its league-leading home run total to 57 with a trio of long balls. Bubba Starling hit a solo shot in the fourth while Fred Ford and Mark Threlkeld went back-to-back in the fifth. Ford is tied for the league lead with 12. Burlington hit 58 in 68 games last season. 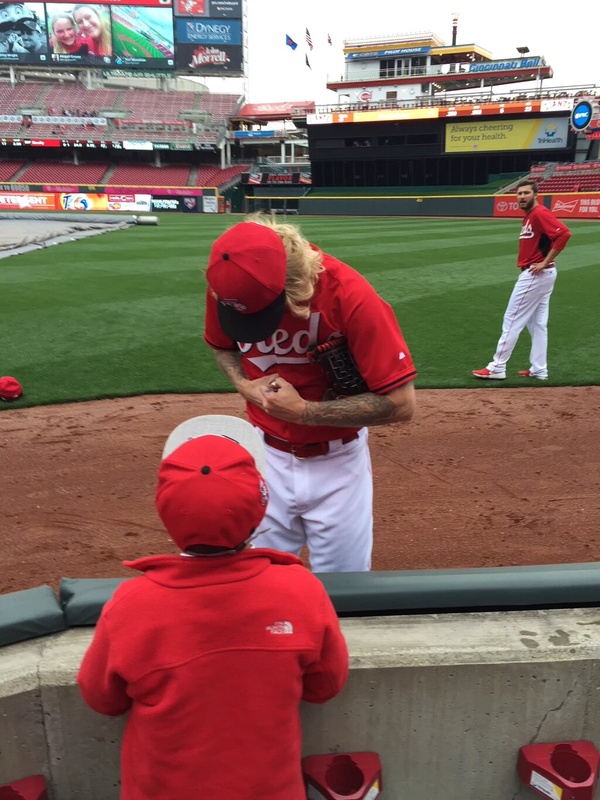 All eyes in Surprise were on John Lamb, who made his first appearance since undergoing Tommy John surgery on June 3, 2011. The 2010 Paul Splittorff Award winner worked around an error with two K’s in a scoreless inning. Chad Johnson posted three hits, three RBIs and a run for the Royals.